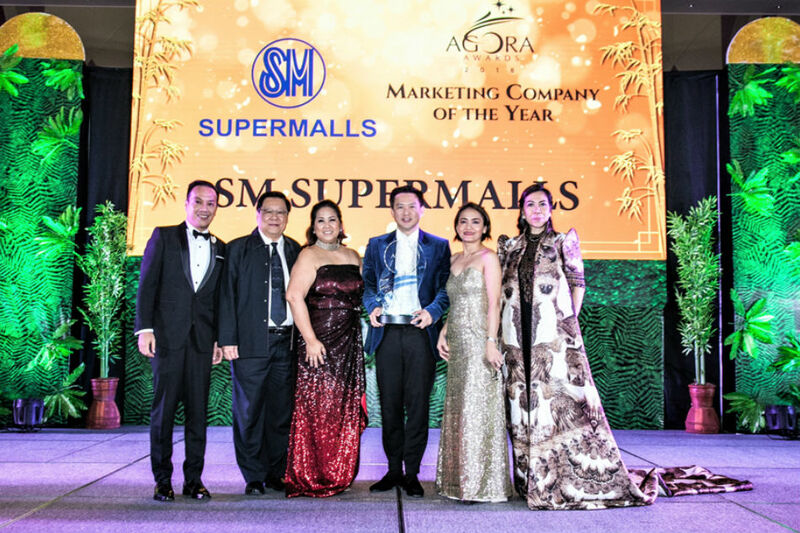 SM Supermalls bagged the most coveted Agora for Marketing Company of the Year in the prestigious 39th Agora Awards conferred by the Philippine Marketing Association. (In photo) 39th Agora Awards category head John Alexis Revilla, MEGA Global Corp. president William Tiu Lim, Philippine Marketing Association president Arlene Padua, SM Supermalls Chief Operating Officer Steven Tan, and 39th Agora Awards' overall chairperson Maeyeth Cadungog and director Mary Faith Abaño. 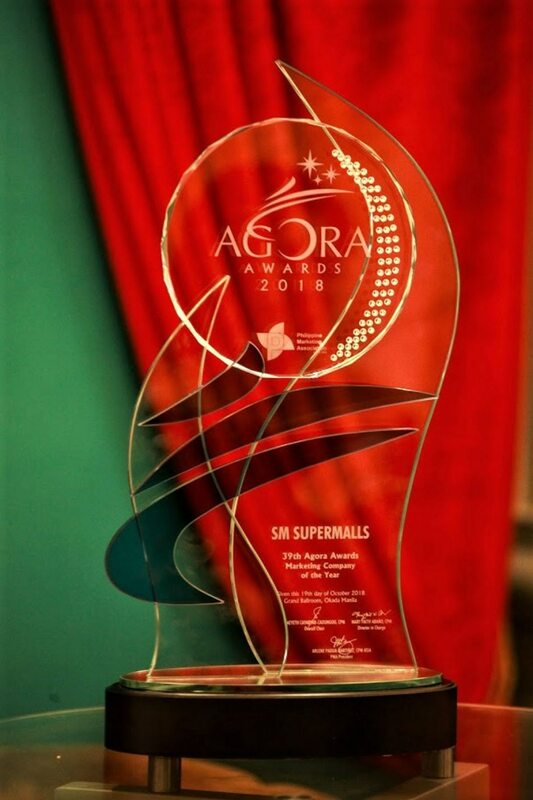 SM Supermalls was recently hailed Marketing Company of the Year in the prestigious 39th Agora Awards. The award was conferred October 19 at the Okada Manila Grand Ballroom. "Innovation has always been at the core of SM's growth as exemplified by our founder Henry Sy Sr. when he opened SM North EDSA over 30 years ago in the swampland of Quezon City to today, as we partner with first-in-market global brands and introduce never-seen-in-the-Philippines activations that inspire family fun moments and bring smiles to children's faces," said Steven T. Tan, SM Supermalls Chief Operating Officer. 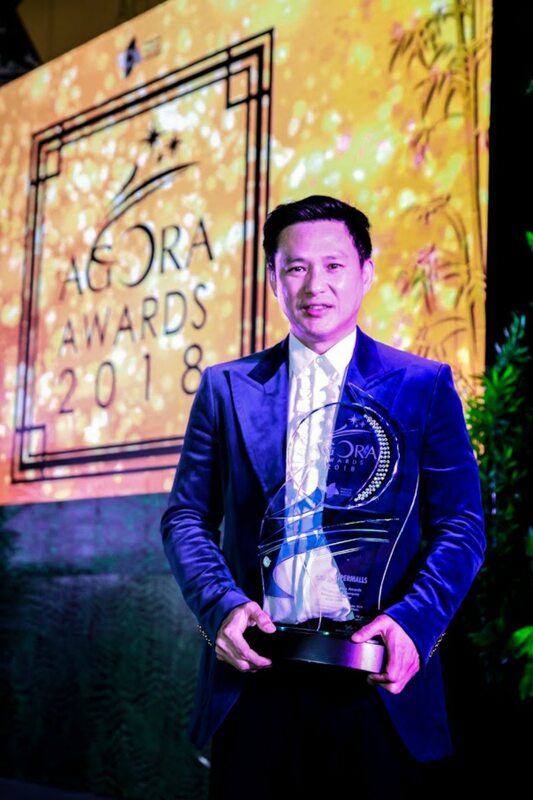 Chief Operating Officer Steven Tan receiving the Agora for Marketing Company of the Year on behalf of the Sy Family and SM Supermalls. While Philippine Marketing Association hosts the Agora Awards annually, there has not been a winner of the Marketing Company of the Year for the past two years. Deemed as the Oscars of the Philippines’ marketing industry, the Agora Awards honor companies for their excellence, innovation, and contributions in the field of marketing. The SM Group received its first Agora Award in 1999, where Henry Sy Sr. was presented with the Agora for Outstanding Achievement in Entrepreneurship – Large Scale. In 2004, the SM Foundation was given the Agora for Outstanding Achievement for Advocacy Marketing. SM Supermalls' Agora for Marketing Company of the Year in the 39th Agora Awards. Receiving the Agora for Marketing Company of Year is another historical and defining milestone for the SM brand as the conglomerate continues to immortalize Henry Sy Sr.'s dream to serve and bring smiles to millions of Filipinos from all over the country. For more information, check out www.smsupermalls.com, or its Facebook, Twitter and Instagram accounts.